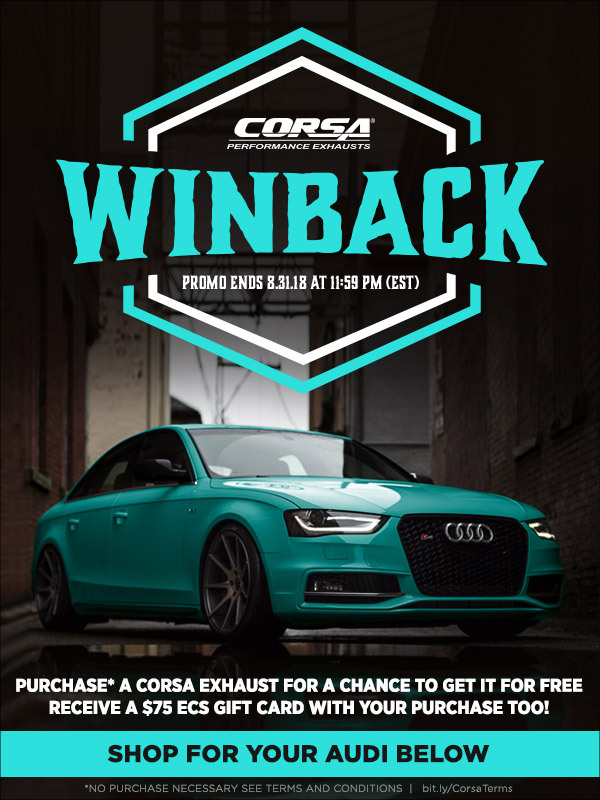 From NOW until 11:59:59 p.m. EST on August 31, 2018 buy Corsa Exhaust from ECS Tuning and you're entered for a chance to win the exhaust purchase price back! Quick Reply: Corsa Exhaust WINBACK! Win the exhaust purchase price back! !